The year 2016 is very much significant to the High Court of Kerala as it marked the 60th year of establishment of the court. The High Court of Kerala was formed as a result of integration of princely states of Travancore-Cochin with Malabar district and present day Kasaragod (then a part of Madras Presidency), with effect from 1st November 1956. In 2016, the high court reached its highest strength of 38 judges (27 permanent judges and 11 additional judges). The number of women judges, too, went up to four, making it for the first time in its history after establishment. The year also saw a plenty number of noteworthy judgments pronounced by the court enriching the legal fraternity and expanding horizons of judicial wisdom. Though the list is not exhaustive, Live Law brings forth 10 such decisions of the Kerala High Court delivered during 2016. 1)Banning of women working in liquor shops is discriminatory: The court speaking through Justice Anu Sivaraman slammed down a government policy, which banned women from working in liquor shops, terming it ‘discriminatory’. 2) Calling for legislative frame work to formulate common code for marriages in India: Justice A Muhammed Mustaque, while disposing a batch of petitions of Muslim divorce law, held that a common code for at least marriages in India was quite necessary. The court opined that a legislative frame work to regulate triple talaq was required. 3) Mere reference to homosexuality or sexual acts not obscene or vulgar: Setting aside an order by the censor board banning a film, Justice PB Suresh Kumar, in Jayan Cherian vs. Union of India & Ors, has held that mere reference to homosexuality and masturbation of women may not amount to obscenity or vulgarity. 4) Imposition of tax exemption cap on vehicle used by disabled not discriminatory: A division bench of the High Court of Kerala, consisting of Justice Antony Dominic and Justice Dama Seshadri Naidu in Dr CH Moideen Kunhi v State of Kerala & others, has ruled that imposition of a tax exemption cap on the purchase value of vehicle used by the disabled is neither discriminatory nor unreasonable as regards Article 14 of the Constitution of India. 5) Nothing wrong in girls and boys studying together: The High Court of Kerala, through Justice V. Chitambaresh in Jayasree v Director of Public Instructions & others, has held that there is nothing wrong in boys and girls studying together in a school. The court observed that “a mixed school with a co-education helps the children to have healthy trends and isolation of them at this young age would only prove to be detrimental to their growth”. 6) Right of women to wear dress as per religious injunctions is a fundamental right: Allowing the petition filed by Amnah Bint Basheer, a candidate for All-India Pre-Medical Entrance Test 2016 scheduled on 01.05.2016 (AIPMET-2016), Justice Muhammed Mustaq has held that the right of women to have the choice of dress based on religious injunctions is a fundamental right protected under Article 25(1) of the Constitution of India, when such prescription of dress is an essential part of the religion. The court granted permission for Muslim girls to wear hijab for the AIPMET-2016 on the condition that they should be present at the examination hall half an hour before the exam for frisking, if necessary. 7) Stringent action to be taken against customised modification of vehicles: The High Court of Kerala speaking through Justice V Chithambaresh in Francis MC v State of Kerala and Ors [W.P(C)No: 7045/2016], has directed the state transport department and state police machinery to take stringent action against those persons who ply motor vehicles with customised modifications in violation of motor vehicle Act/rules. The customised modifications pertain to the alteration of motorcycle parts like removal of silencers, mud guard and sari guard etc. The court observed that such removal in a bid to add glamour to the vehicle, possessed danger to the public, which the users are unmindful. 8) Court cannot assume jurisdiction based on cause of action communicated through website, and it was accessed in its jurisdiction: The Kerala High Court speaking through Justice KVinod Chandran in G Madhavan Nair v Union of India & others (W.P(c) No:30342 of 2014) has ruled that Kerala High Court cannot assume jurisdiction based on the mere fact that the alleged cause of action was communicated through website and it was accessed in Kerala. 9) A judicial officer cannot be penalised for passing erroneous orders: Dismissing a writ appeal, a bench comprising Justice Thottathil B Radhakrishnan and Justice Anu Sivaraman held that even under circumstances, where a judicial officer may pass erroneous orders ,in the absence of misuse of such judicial power for personal gains or where the erroneous use of judicial power is shown to be dishonest or mala fide, such an officer is completely immune from consequences ensuing from such orders. 10) Complainant cannot be compelled to seek recourse from police, when complaint is against a police officer: The court, through Justice B Kemal Pasha, held that where allegations are leveled against a senior superior police officer, the complainant, who is an ordinary citizen, being a member of the public cannot be compelled to file the complaint before the police themselves. 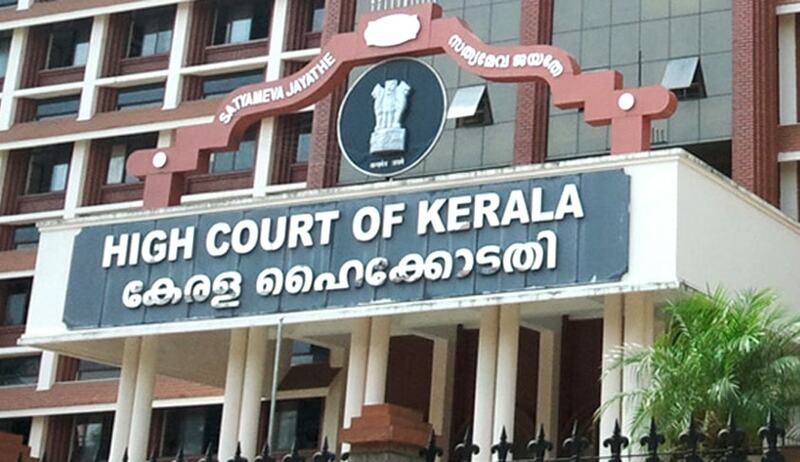 The court was considering the plea made by a superior police officer to quash preliminary inquiry against him by vigilance court, for allegedly influencing a subordinate officer in Kerala bar bribery case.